The fall 2016 headlining run of Skillet's The Unleashed Tour was so successful that they are going to do it again. Yesterday the Christian rock band announced another North American leg for that tour, and this time it'll take place in the winter and spring of 2017. Skillet's The Unleashed Tour is named after the band's tenth studio album. The album Unleashed came out earlier this year on Aug. 5 via Atlantic Records and it debuted at No. 3 on the U.S. Billboard 200 albums chart. Unleashed was the follow-up to their 2013 release, Rise. Those who are part of Skillet's official fan club can score pre-sale tickets beginning today, Dec. 14. Tickets go on sale to the public Dec. 16. Links to buy tickets for select concerts can be found via AXS.com. Providing direct support on Skillet's 2017 The Unleashed Tour is going to be Sick Puppies. That Australian rock band just released a brand new album entitled Fury this past May. Opening up all concerts will be Devour The Day. 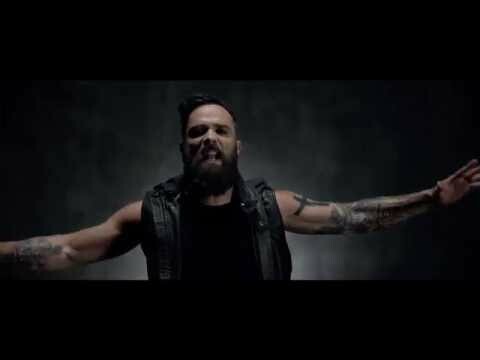 Over the last 20 years Skillet has gone through some line-up changes. The current lineup has been performing and making music together since 2011. It includes lead vocalist John Cooper, guitarist/keyboard player Korey Cooper, drummer Jen Ledger, and lead guitarist Seth Morrison.